Here comes a long-awaited ISK-making post, aiming to give highsec missioning a boost. Have you heard of the Sisters of EVE? They are not just here for roleplaying, they have a lvl4 mission agent in the Osmon system. What makes Sisters special? That their LP conversion is not 1000 ISK/LP, like the rest of the Empire factions, but over 2K, like pirate factions. (for example 10x Sisters core scanner probe: 5.3M Jita, need 1.2M cash, 10x normal probe for 0.1M, 1800 LP, 2200ISK/LP) Then why would anyone not mission for them and work for other factions for much less? Because of this. And this. And this. Not to mention this, this, this, this, this and many-many more. Osmon, Inaya, Korsiki and Olo are paradise for missioner gankers. So after losing a 1.5B Tengu to a single Tornado, most missioners decide it's not for them. I simply couldn't let this opportunity to pass by. So I did what I swore I won't do in EVE, security missions. Great thanks to my girlfriend as I don't have a combat pilot while she can fly battleships well and also T2 hybrids. Still, 2 months of training needed to create this post. Please note that none of the following is EFT-brainfart, everything was tested and re-modified again and again to create you an 1500DPS, 1000 DPS omni-tank, auto-salvaging, perma-MWD-capstable- without-perfect-skills monster that drops about 1/3 as much loot as the pricetag of the Tornadoes needed to gank. No multiboxing skills or software is needed to fly them. You just fleetwarp to the gate, warp the Kronos in first and start moving it to break invulnerability. Warp in the logi, lock the Kronos, start orbiting, start remote sensor booster and local tank. Alt-tab back to Kronos, lock the logi and the first set of NPCs, start energy transfer, shoot one or two rats. Alt-tab back to logi, start all remote modules and the MWD, launch drones and start salvaging. From this point, unless something goes wrong, you don't have to bother the logi ship until you finish with the packet. Unless you mess up something, you use nothing but salvage drones on both ships, which constantly collect a little side income for you, while creating little cans that your two tractor beams pull in. Since the limiting factor in the missions is not killing the rats, having Science 5 for the T2 tractors and Salvage drone operation 5 for faster drone salvage has priority over T2 guns and practically anything besides basic ship-flying skills. Of course the above is only true if you resist the urge to bling your ship. Officer or even deadspace modules would give a few % DPS, speed or tank at the cost of becoming profitably gankable. Since missioning is about ISK, let's see the results. Spending 2:45, the following missions were run: The bounties and rewards were copy-pasted from the Journal, the loot and salvage value was calculated by the in-game approximation, the LP was converted to Virtue implants and Sisters probes and sold on Jita Well, clearly not trading income, neither supercarrier ratting or even incursion. But 66.6M/hour in highsec, practically safely from any PvP isn't bad at all. Especially if we add that the skills were far from perfect (Security connection 5 would increase LP significantly) and missions still had to be looked up. As you can see, rewards and LP are just half of the income, so I advise against Blitzing. Blitzing was developed when salvaging and looting meant docking up and undocking a Noctis, while in this setup 10 Salvage drones and 2 bonused tractor beams do it while you are killing the next pack. Create an item filter that filters out your ammo, gatekeys and other items you want to keep. Then you can select all the loot and remove from your ship. You can rearrange your locked targets by grabbing and moving one. Move your logi always to the same place. Your logi should not be in the same corp as you, because corpmates can shoot each other. A misclick and you killed your own logi. Obviously set your safety to green. If the rats are in far places, loot and salvage the first group before moving to the next. You can try pulling them by shooting them. When the mission is finished and only a few wrecks left, the Marauder can return with the quest, while the logi finishes salvaging. Don't turn on the MWD of the logi at the start, only when you start moving after clearing up the nearby rats. Storyline missions give lot of standing which translates to lot of rejectable missions. Don't skip the storyline, even if it's harder than the normals. Dread Pirate Scarlet mission has several pockets and jamming rats. Skip. Watch out for webbing drones. They can web your logi and you can leave it behind. Cargo Delivery can be blitzed in a shuttle, just loot the warehouse and warp out. Recon is a 3-step mission, can be blitzed without shooting. You have to reach the gates, in the first 2 do it in a shuttle, in the third use the marauder alone to fly trough the toxic field. Put on a local rep and a cap booster. 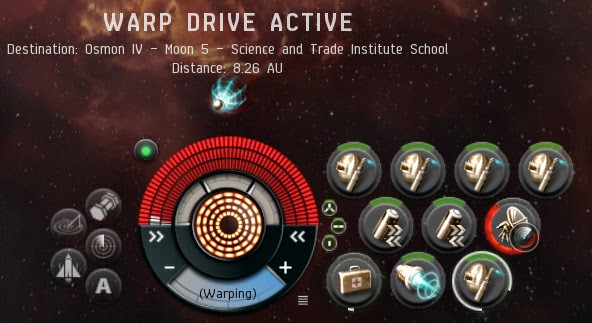 The Auguror remote reps are bonused only at high Amarr Cruiser skill, but the energy transfers are bonused as role bonus, so it can easily keep the Marauder at full cap while it's running MWD and local faction rep constantly. Of course you can't go in head-long with this as it only has afterburner, so slower than the Marauder and you can't leave it behind so have to play with speed. Also, its tank is much weaker than of the Guardian, so you'll need to send out those medium repping bots more often. But still, this ship can follow and support your Marauder with energy, remote sebo and even with a tracking link to make up for the larger engagement distance. Later, when you can fly the Guardian but with bad skills, you can use deadspace remote reppers. They are 10-20M as no one uses them. This setup has stronger tank (700+600), better range and tracking (62km falloff, 0.13!!! rad/sec with tracking script on marauder), longer salvage drone radius. Yet I chose the Guardian setup, because this needs very high multi-tasking ability, while the Guardian is extremely tolerant to mistakes. With the Oneiros setup, you always have to keep in mind the range of the logi from you, presence of webbing drones and its tank status as you lose it if it's out of the 9km remote rep range while aggressed. It's slower than the Kronos, you have to play with speed if it needs rep. Also, you can't just perma-MWD or perma-remote rep or you run out of cap boosters. Which can happen too if you leave your cap booster needlessly running. If you are a full-time mission runner, learning the management of this setup might worth it. If you just run some missions to get X ISK every week to support other activities, stick to the Guardian, it keeps you from tearing off your hair. Also, the "T1 Oneiros" is practically useless, needing good skills on the second pilot just to start. "Even without level 5 skills, you can get 0.08 rad/sec tracking, which translates to 800m/s transversal at 10km. Little comparison: a Cormorant with small railguns have worse tracking and similar optimal"
Just wanted to correct you on this. The cormorant is using small guns with a signature radius of about 40m while the Kronos is using large guns with 400m signature radius tracking. Thus against frigates (on average have 40m signature radius) the Kronos would actually be penalized with a 0.1x tracking modifier. Other than that: Nice article. Followed your advice on mining missions AFK in high sec and already have reaped the profits to build up more capital for trade. Might train up for a kronos or vargur at this rate as well. Never skip Scarlet. The mission gives you great LP and is done in 5mins. Jump through the gates, don't shoot any NPCs. Kill Scarlet in room 3, loot the implant she drops and warp out. The secondary ship doesn't need a TP so you'd use a Remote SeBo or ECCM Projector. Use: Warp in, MJD to next gate or at a 100km distance to next gate. Deploy sentries and assist. Establish rep and captransfer. Guide assisted sentries with TP and control your mains own normally. the proximity check to the gate in Recon 2 also activates if you are cloaked, so I like to do it in a covops and cloak as soon as I get within ~20km of the gate (based on tactical overlay) - no need to worry about the npcs that spawn. I think the entire Kronos + Guardian setup is not efficient - you are spending an additional 550m/month for the Guardian yet get the same income you would get from running only one account. The Guardian helps against rats but doesn't add a lot in terms of gank protection (how much can he rep in the 2-3 volleys it takes to kill you? a ganker could just suicide a Griffin to jam the Guardian for the duration of the gank). I got ganked in Osmon once, 9 months ago - back then I was probably too clever for my own good using an instant undock whenever leaving station and a station bookmark for docking. Nowadays I make a point of giving the gankers opportunity to ship scan my Machariel and haven't had a problem since. If somebody is dicking around in your mission without salvaging, keep an eye on short scan. My "this frigate is up to no good" gut-feeling saved me once from such gank and allowed me to warp out as soon as a Talos gang appeared on <1 AU scan - before getting suicide tackled by the frigate. Secondly, it keeps the Kronos armor full, so mission gankers can never catch it in low armor. For missioning, it allows perma-MWD and all other mids with tracking computers. Without these, you can't mission with blasters. A railfit Kronos is a weak Kronos. You absolutely should blitz Dread Pirate Scarlett, she drops +3 implant if killed in 3rd pocket and her bounty 5 million. And you don't need to kill anything else so 10-15 millions for less then 5 minutes "work". 2000 ISK/LP is not bad, but it's not great either and many other high sec corps have much better returns. Flying an alt with a logi halves your ISK/hr per account, as opposed to flying two BS and doubling your ISK/hour per account. The logi pilot is not adding any value, but rather a bandaid for missioning in a popular system. You will be very rarely shooting in your optimal, so that 1100 dps is more like 800 or less, also 16+29km isn't enough to blitz so many missions without wasting time running around. "Science 5 for the T2 tractors and Salvage drone operation 5 for faster drone salvage has priority over T2 guns and practically anything besides basic ship-flying skills." I frankly don't know what to say about this. @Anonymous: can you name any of these "better highsec corps"? 2 battleships need a multiboxing software and there is none endorsed by CCP. They tolerate some, but you are always in the gray, they can ban you any time. Enemy battleships (where DPS matter) were always within optimal, often within the optimal of Void ammo. Nice project! Thx for sharing. And gank free. I don't really understand why there is a higer LP:ISK conversion rate for this. Is it all related to the mission-ganking? Apologies to readers, retarded troll cleansed. Further "I make a trillion an hour by missioning in a noobship" class trolls are deleted without question. If your method works, I'm sure that TMC and EN24 would love to see your article/fraps/whatever. @Last anonymous: yes. Theoretically every LP should be equal as all highsec missions are equally hard. However Sisters having only one agent allows gankers to feast, making many missioners go away. It really shows that you are new to eve goblin. First, marauders are not a new concept. They were there before the noctis even. That doesnt mean, just because you dont have to switch ships, that its better to salvage the mission as well. Secondly, the reason for the difference in LP value lies a few years back. When agents had quality, you couldnt chose a random .5 system and expect to get the maximum lp. Agent quality ranged from -20 to +20 and any agent with <15 wasnt worth missioning for. On the other hand you had corps with high quality agents in higher security systems. So it took quite some effort to figure out what gives most and in the end most people just listened to uninformed people like you instead of doing their own research and got stuck doing missions for the major corporations. Now if youve examined the LP stores, you will surely have noticed that there are many many corporatiosn that you can mission for and most items overlap, ammo, implants etc, while others are limited to a few corps, which you wont find in the major mission hubs. It is tedious excelsheet work to figure out which items are good and which are not, so most people, probably about 99,9% just stick to the old .5 q>15 agents, which are in corporations that dont provide these special items. Also, the "troll" you deleted was certainly not trolling. It is easily possible to multibox. You have been around during the FW-implant era and must have seen some cashout screens with hundreds of billions of implants, guess how they were farmed...i myself was quadboxing tengus in seperate missions in that time..in lowsec with public beacons. "Blitzing is so 2012 (read: pre-sleeper AI) "
Why is blitzing old? If the most valuable reward from the mission is the LP then you should blitz as much as possible (and turn down missions that can't be blitzed). 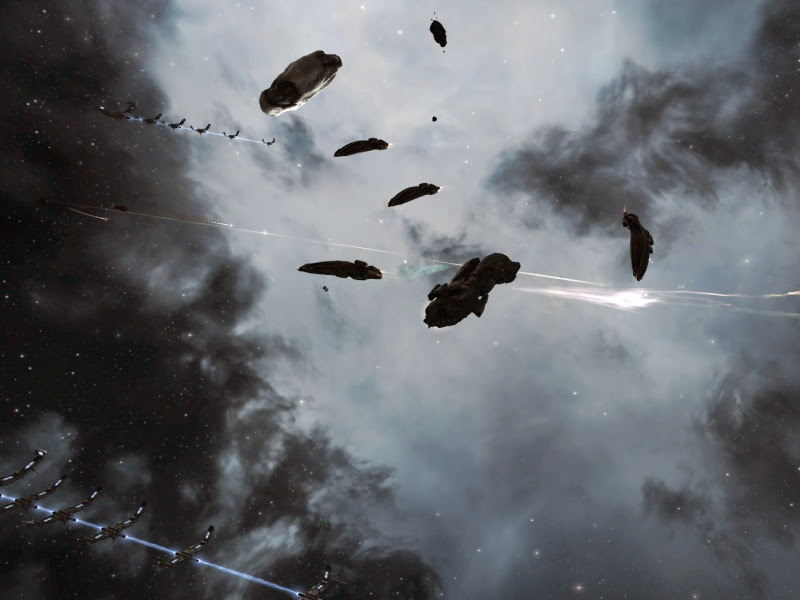 @Karrah: and in YEARS people were unable to figure out that SoE pays twice as good as Caldari Navy? Even I don't think they are that dumb. The FW lowsec imbalance is well-known, their LP conversion was surreal, like 8-10K ISK/lp. Since fixed, no more cashouts. @Anonymous: because LP is NOT the most valuable resource. It was when salvage was mostly worthless. My results shown only 43% LP income, with a 2200 ISK/LP mission. Salvage prices increased since sleeper AI and also, they don't need extra effort to get since salvage drones. All I lose for salvaging is the 100-150 DPS coming from drones. Yes. Yes they were. Welcome to EVE. You still didn't address his claim that he could quadbox tengus. The right LP is certainly by FAR the most valuable resource. "they don't need extra effort to get since salvage drones." This is a statement that ranks with 'minerals I mine for myself are free'. "My results shown only 43% LP income, with a 2200 ISK/LP mission." "and in YEARS people were unable to figure out that SoE pays twice as good as Caldari Navy? Even I don't think they are that dumb." Some have. But you also need to farm standings for that corporation. "The FW lowsec imbalance is well-known, their LP conversion was surreal, like 8-10K ISK/lp. Since fixed, no more cashouts." I know, FW doesnt work anymore, that was not the point. There are still items with more than 2k isk/LP and no im not gonna point them out. You can do the work yourself. Wait what are you saying, you are too lazy? Cg, you just figured out why they are that high, like you, 99,9% are too lazy and the ones who figured it out dont want to give out the information. "@Anonymous: because LP is NOT the most valuable resource. It was when salvage was mostly worthless. My results shown only 43% LP income, with a 2200 ISK/LP mission. Salvage prices increased since sleeper AI and also, they don't need extra effort to get since salvage drones." Any of the R&D corps (Sukuuvestaa, Zoar and Sons, etc.) that offer popular faction module blueprints, it's not really hard to get 3-4k ISK/LP on high volume items like damage mods or EANMs. Mission running is all about the LP, Storylines and standings, why would Sleeper AI have changed that? If anything it means you don't want to spend more time killing stuff because you have more chance to lose drones. Also all of this still pales to 100m/hour of pure ISK (+100-200m/hour worth of LP) from Incursions or FW's 500m/hour per character. I'd like to see a comparison of this method vs mission blitzing; I have a feeling that blitzing would give a higher ISK/hour return. It should also scale much better with multiple clients. "here are still items with more than 2k isk/LP and no im not gonna point them out." The quintessence of the troll: criticizing without giving any useful information. "Did you do any calculations on this or is this all just out of your head?" Another perfect troll trait: criticizing without reading the post. Wow, so much to address. Firstly, multiboxing. I run 4 characters at the time most of the time, and do so with just a dual monitor setup, no multibox software. Everything's just windowed with quick switch hotkeys. That said, CCP have given the green light to ISBoxer and hundreds of people use it. As long as you still have to remain at your PC, they are happy with it. @"here are still items with more than 2k isk/LP and no im not gonna point them out." The quintessence of the troll: criticizing without giving any useful information. He is not trolling here. The reason he doesn't give information is because the only reason the items get more than 2k isk/hour is because few people know about them. The more people that know, the more supply there will be, and the lower the price. @"Did you do any calculations on this or is this all just out of your head?" I've read your post, and you've not given any figures on how much information you gathered and how you worked it all out. For eaxmple I would have run at least 100 sets of 4 hour sessions, calculated for each session total sale of salvage and LP, then divided by 4 to give me an average hourly rate per set. I then would have averaged all of the set to give an average of the sets combined. I then would have quoted the testing method and provided the figures. You are quick to demand that other people provide further info, yet you don't provide it yourself. @Lucas: but his statement is pointless as it cannot be checked. It's like: "I know there are aliens in the planet, I've seen them, but don't tell you"
400 hours of missioning isn't needed to get the magnitudes. I got 25% loot/salvage in the test period and similar results previously. The accurate value is somewhere in a +-5% range of 25%. It's extremely unlikely that it's 5% or something. Actually it's likely higher than 25% due to 3 blitzed missions got in. The point is that loot/salvage and bounties aren negligable income like it was a year ago, so blitzing is no longer the only possible way. Loot and salvage are still negligible compared to LP. The reason your calculation is off is because you're not earning much LP because you're running the wrong setup. You're running a salvage/looting setup then going "I'm getting a lot of loot and salvage but not much LP so the LP isn't a big proportion of the income". If you ran an actual blitz setup you'd make more LP and more isk overall. Also there's a topic about you on the eve forums. The LP/loot ratio is independent from my setup and only dependent on the mission itself. You can choose to no pick the loot, not salvage, blitz and aim to get more ISK via LP and mission rewards. Let's say that you can skip half of the rats, so your bounty goes down to half in a mission. Then you gain about 2/3 of the income I gain every mission. You have to make it up by doing 1.5x more missions just to break even. I don't really see how you do it since even taking gates to the mission eats lot of time. Considering that most highsec missioners are around 20-30M/hour, I am rather satisfied with the results. About forums: if I'd check on every forum about me, I'd be reading trolls all day. No thanks. "I don't really see how you do it"
The inability to look outside ones own experience seems to be the quintessential characteristic of the moron and slacker. Please do the sums - at 2000K/LP (or even 1K), LP gain goes up faster than bounties at some point - that point isn't as unrealisable as you seem to assume it is. 2200 isk / LP is good. but you can find higher. I like this site https://www.fuzzwork.co.uk/lpstore/ in particular for researching which items / corps to mission for. "need to farm standings for that corporation." there are 10 missions * 5 agents * 3 locations * 2 races so it is a bit of a grind but it opened up half of the highsec agents. as a bonus it gives some good startup capital with all the ships and skill books to sell. That's like saying 'the burger flippers at McDonald's make minimum wage, so I am satisfied with my income'. The whole point of EVE is to achieve so much more. "Considering that most highsec missioners are around 20-30M/hour, I am rather satisfied with the results." If most missioners make 30m per character at 1000isk/LP, doesn't this mean that your fit is less efficient than whatever they're using? you either blitz missions or you're doing it wrong. Only time you ever full clear is when you're giving salvage to a new player, anything other than that is a waste of time. Sisters of EvE are a nice place to start, but there are better LP stores out there. Don't the elite frigates zap your salvage drones? Or are you just killing the frigates fast enough that the odd dead salvage drone is just the cost of doing business? @Gevlon: "but his statement is pointless as it cannot be checked. It's like: "I know there are aliens in the planet, I've seen them, but don't tell you""
But other have already confirmed his statement is correct. I also confirm it is correct. He still has the right to not give away trade secret though. My point was that your statement is no more valid that his as we only have you word to go on. Someone that hasn't done the math on his statement is no better off that someone that hasn't done the math on yours. Being that his statement is of equal validity to yours, claiming his is irrelevant as it has no given proof, yet to someone that hasn't done the math, yours is hearsay too. @Gevlon: "400 hours of missioning isn't needed to get the magnitudes"
Based on your article we can't see how much testing you have done. You would still need to put in a considerable number of tests. Just missioning for 4 hours once, then dividing your total take by 4 to give you a single hourly total is pretty much less than useless. Loot variation is so vast that it only takes you getting a couple of popular meta 4s to inflate your loot prices, or a couple of the better salvage materials to gain better salvage, or even just a few good missions rather than lower isk missions. There are enough variables that you would need to do a considerable amount of testing to get accurate results. I would say 400 hours is the low bar. +-5% means nothing if you cant see the number of values tested. If you flip a coin 3 times, and it's heads every time, your results are that coin flips are 100% always heads with no variation as there was never an alternative result. To perform an accurate test, you would need to gather a lot of information, investigate and remove outliers then decide what your average is an your variance. Strictly speaking, you should then repeat the test to ensure it replays after the fact within predicted guidelines. That's with one character in a well skilled, not too heavily blinged out Tengu. And that's just LP, I'd also get about 30m/hr in bounties and mission payouts. Back when you could make ships unscannable, I'd do this out in lowsec and pull in 60-80k lp/hr. Only difference was that I used a scout. Ok goblin, you wanted it, so here it is: I've frapsed 40 minutes of mission blitzing. Unfortunately my hdd got full so i had to stop. It's sped up x4 and i've blacked out names as best as i could, but you can still see the LP (started from 0) and the timestamp in the bottom left corner. -I did Recon 2, which is quite bad LP/h wise, but is a quick mission to do and counts towards getting faction missions. -I also was a bit unlucky on the Pirate invasion as TWO bs bumped 100+km away. I'm shocked CCP still hasnt fixed this. -Aside from Recon 1 once, i did not get any more S-Tier missions like Scarlet or Pot and Kettle. Those have hilarious rates. Now if we're still counting with your 2k isk/lp conversion, thats 100mio/h on ONE account. You could say my mach is more vulnerable towards ganks, but the fit is quite cheap and i haven't lost one yet. So there is space upwards, much space. You can trust me when i say i can average 60k lp/h/character easily, while dualboxing these machs, because that's what i did a year ago. In fact, when you go to your standing tab, and doubleclick one of the corporations that you missioned for, you can see each mission listed. I had 250 pages of those on each character, and i let a guy write a program for me that can process this data a year ago. I am not making this up. I CAN make 60k lp/h, you can trust me on this one. Unfortunately, all old logs seem to have been lost with one of the recent expansions, as those corporations do not list my old missions anymore, so i cannot prove it. But really, the video should give you the right idea. @Karah Serrigan: I don't doubt your results. The problem is - as yourself put: is that your ship is very easy to gank and pretty expensive. You got lucky with gankers. One day your luck will run out. Of course you can just add that to the costs, but I'm not sure it will still be positive. My setup isn't succeptible to ganking. The fit is only 1,1b and has 60k ehp, you would need 5-6 tornado, at which point you're going barely break even. In that time you could have ganked juicier target, so no, you won't get ganked every single day. 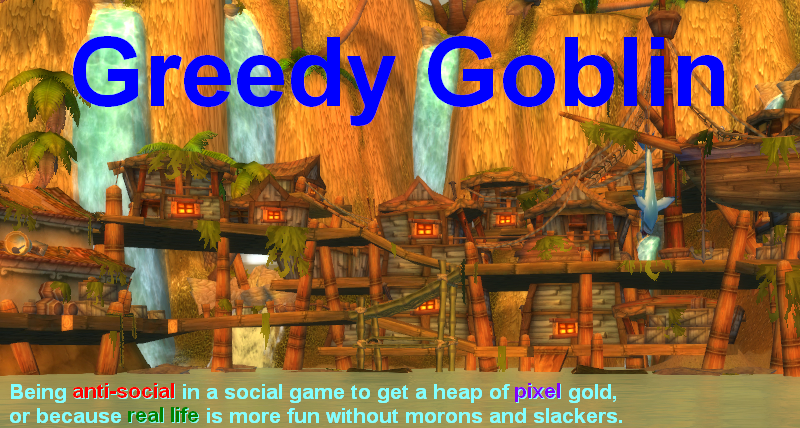 And even if you do get ganked eventually, if i make 50m/h more than you, then after 30 hours i'm break even. And if you're really that afraid you can take my fit and go full t2, will still be better than your method.